Do you love the water? Are you looking for a great way to have a lot of fun in the water, get exercise and get paid well as a trainer at the same time? Well then, you have come to the right place! Also, make sure to check out my group exercise certifications article as well as the best general personal training organizations. 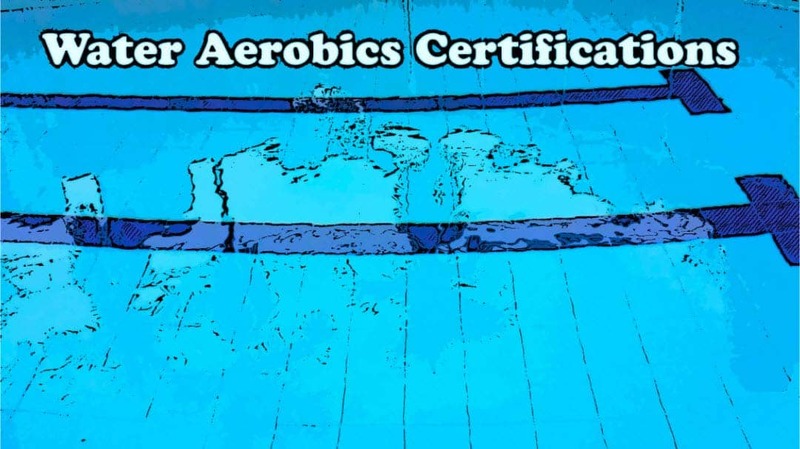 If you are working as a personal trainer in the gym that has a swimming pool you might want to consider getting a water aerobics certification. 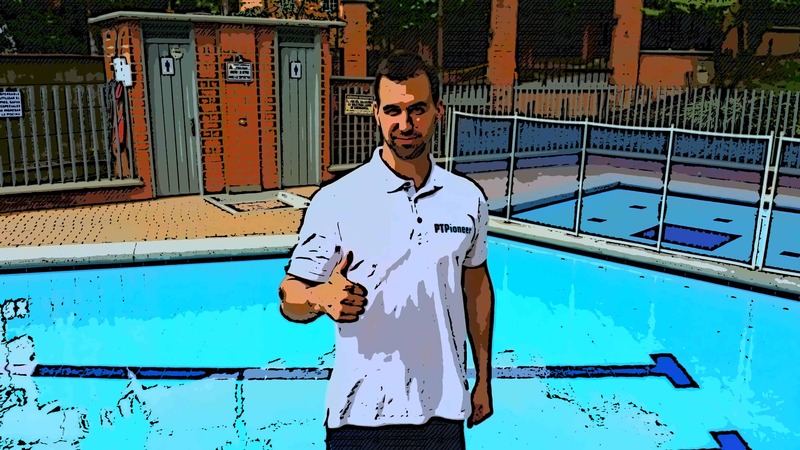 Group exercise and a swimming pool is extremely challenging but at the same time refreshing. It switches things up in regards to regular one-on-one training sessions or even regular group exercise workouts. I will be talking about the two primary water aerobics certifications that are on the market today. The certifications I will be talking about are ACE’s aquatic exercise course and AFAA’s aqua fitness course. Check out all of the benefits of aquatic exercise! Let’s dive right in! The certification that ACE offers will cost you $79 at the time of me writing this article. The course materials that they offer you are an instructional DVD as well as the primary textbook for the course. I believe that the DVD is an excellent way if you are a visual learner. The textbook will teach you about aquatic exercise and its history as well as some basic exercise science of exercises that are performed in water. Compared to some other textbooks from ACE I think that the material is not as dense. I found there to be a lot of images, especially in the exercise section. Exercise in water is exceptionally different than out of the water. I learned cool things such as all about buoyancy, drag, and hydrostatic pressure and how it relates to exercise and water. Just like other group exercise certifications, you’ll learn about how to create great programs and how to lead a large class. Regarding the DVD, you will learn a lot of exercises and how to regress or progress individuals in your class. By the end of this course, you should have an excellent understanding of how to use standard equipment for water aerobics exercises. Here’s that link to the general ACE certification. Compared to ACE, AFAA takes a slightly different approach to water aerobic fitness. To get certified you are required to attend a one-day workshop that is taught by an AFAA certified instructor. During the workshop, you will learn how to use regular land exercises, but underwater. You learn about a lot of the same concepts such as resistance in buoyancy. Some of the cool things that they teach you are how to instruct your class both inside the pool as well as outside the pool. They also do an excellent job of going over routine design as well as how to progress your clients depending on skill level. It is slightly more expensive than the ACE certification and will cost you $129 as of the time of me writing this article. If you are a member with AFAA you can receive a 10% discount. The $129 that you pay goes towards the one-day workshop, their primary textbook for the course, an exercise library, an outline to the manual and membership with AFAA that will last a year. In general, I think both certifications are an excellent choice if you want to get one of these certifications. These group exercise certifications can be a great addition to your general personal training certification. Teaching classes in the water can be enriching as well as fun. It is excellent for individuals that can handle the stress of resistance training. It is very light on the joints the still provides some resistance. If you are looking for continuing education and if you have a pool in your gym, you might want to consider either one of these certifications. Most certifying agencies such as ACE or NASM will accept either one of these as continuing education. Overall I would have to give a slight edge to the ACE certification because it is slightly cheaper and I like the support as well as the structure of the course materials that they offer. Let me know what you think by commenting down below. If my article was helpful, I would appreciate it if you like to use one of the social media buttons or tell your friends and family about it! Happy personal training!